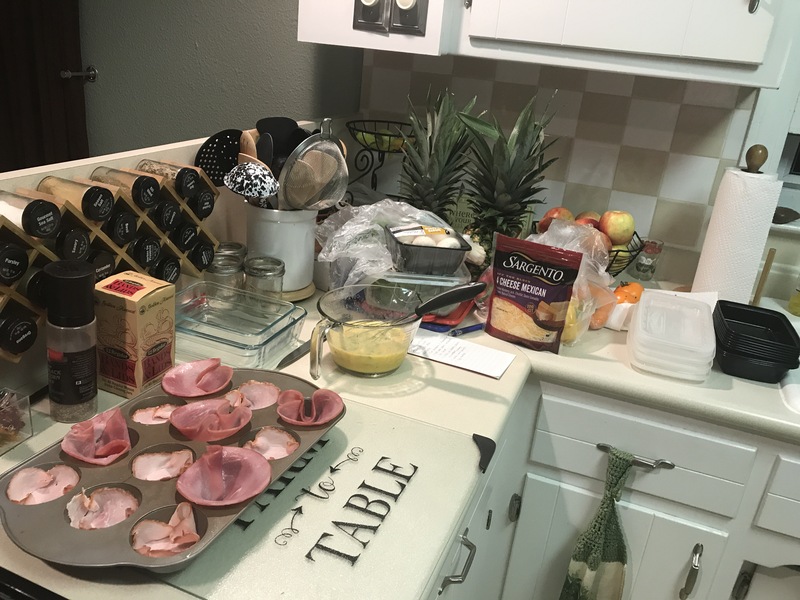 With all the ups and downs this past year I have fallen far from my normal routine of meal prep and I am trying to get back into the swing of things. Above is a picture of my fridge when I am on my meal prep game. I reuse containers from a few of my favorite places to shop in addition to having a few other storage containers. I know there are meal prep containers out there to purchase, but it isn’t necessary. I try to eat 5 meals a day every 3-4 hours and drink 1 gallon of water a day. To effectively lose weight I must do strength training 3 times a week and do cardio 2 times a week while I stay around 1500-1550 calories. I know this is what works for me and it is different for everyone. I track my meals on my Fitness Pal, which is a free app. This will tell you the macros for each food item. One thing to note is I do not count the carbs in non-starch vegetables. This is just what I do from some guidance of a friend that is in the fitness world. I do not stay exact within the numbers above, but try to be close. Disclaimer, I am not a nutritionist by any means. Start my process with breakfast foods before moving to snacks. My egg muffin recipe is different every time on the use of vegetables, but always same base with deli ham and the eggs and egg whites. For 1 egg muffin it is 72 c, 12g P, 5g C, 3g F . I will usually have 4. 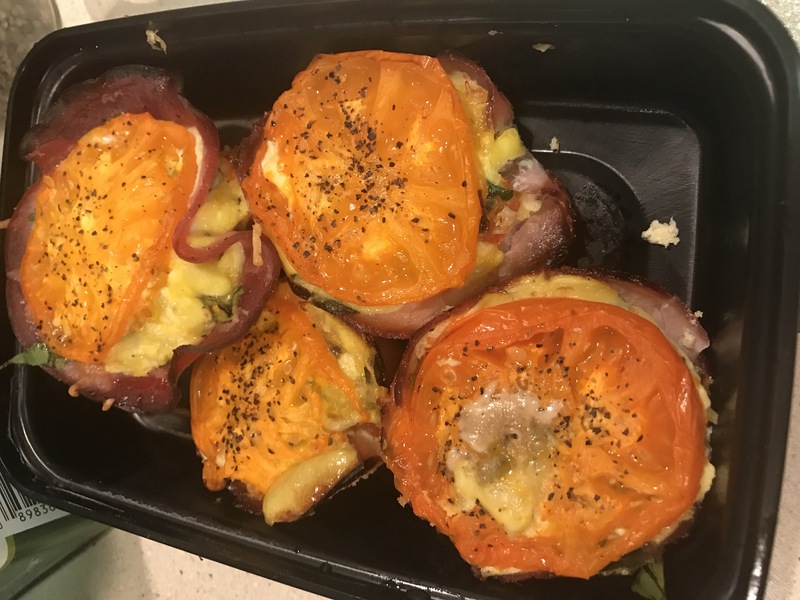 My first meal will be 288 calories , 48 g P, 20 g C, 12 g F.
I chop up all the veggies and put then in the ham base and add the eggs that have been seasoned to taste and top with cheese. When I serve I like to add a dash of hot sauce. Onto snacks. I love vegetables and fruit so they are easy go to snacks for me. The morning I will usually have fruit in my 2nd meal and my 4th meal with be my vegetables and hummus. Meal 2 : Fresh pineapple 1 Cup and half a cup of reduced fat cottage cheese. 150 cal, 11g P, 21g C , 2.5 g F.
I brown the ground turkey then add the taco seasoning. Once done I mix the rice that I microwaved with the ground turkey and add the other ingredients as toppings. 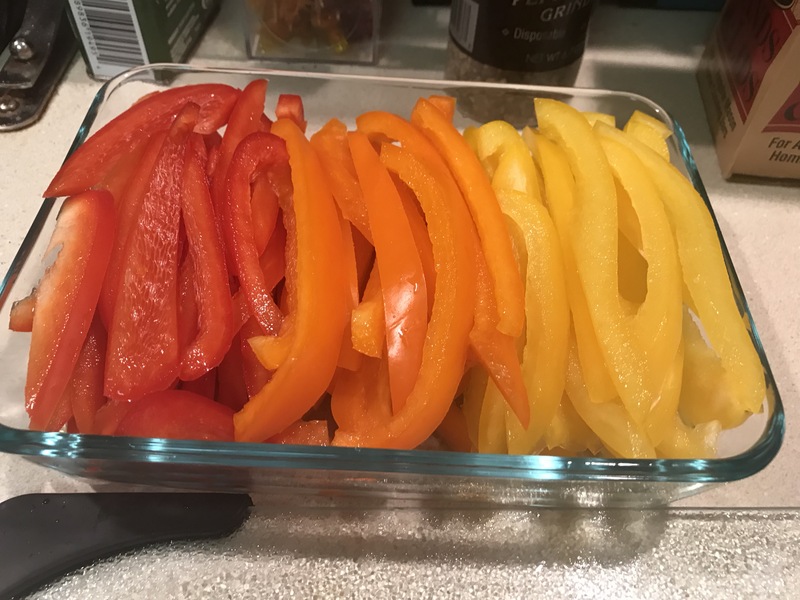 Peppers are chopped ahead for either snacks or use in salads and stirfrys for later in the week. I try to chop ahead any veggies I can use in other meals so it is easy to throw together a meal. For meal 5 I try not to have any additional carbs. I will either do a veggie stir fry or a salad with protein. Since I have so much protein left for the day with the above meals I will do a steak since it has the most protein, but it is higher in fat with roasted vegetables. 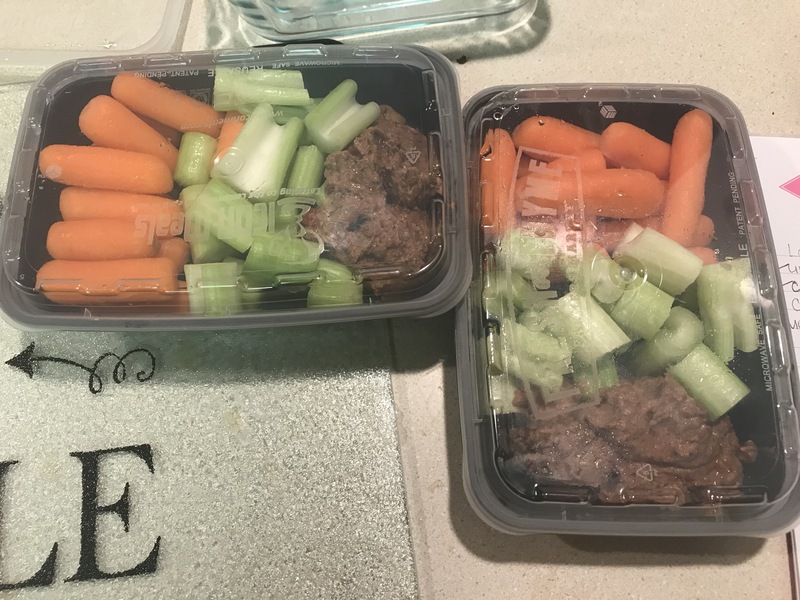 489 Cal, 50 g P, 23g C, 22 g F.
The above day totals to 1499 Calories, 149 g P, 128 g C (some are veggies I didn’t do the adjustment), 54 g F .
When life gets hectic I like having already prepped meals. My favorite meal prep company is a local company in Indy, Herculean. Their meals are affordable, provide the macros and taste fantastic! My absolute favorite meal is the pulled pork, but the BBQ salmon is a close second. I highly recommend going into the store front as the staff is wonderful and they have a lot of great merchandise. I really like the protein donuts and ice cream! 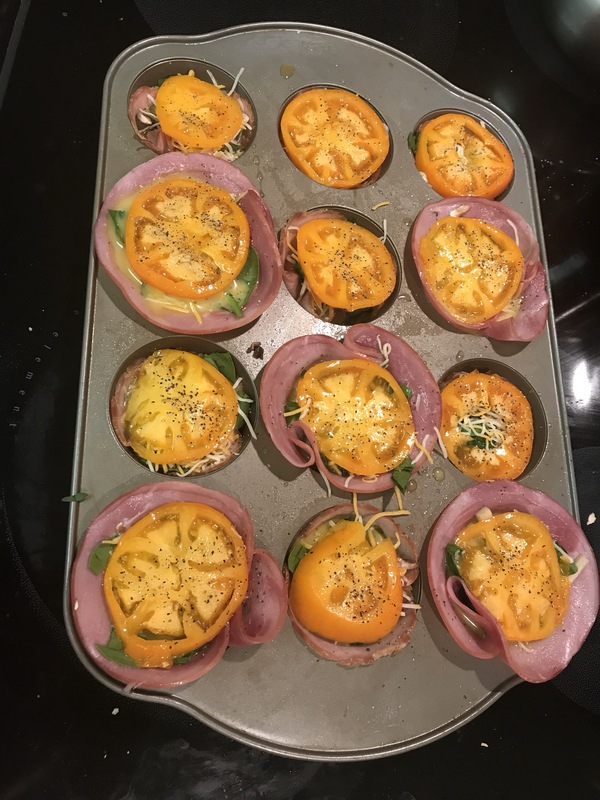 What are some of your favorite meal prep dishes?